These are the best sales questions to ask on a sales call to advance the relationship. You dial the number, get a hold of the lead for a qualifying call, and start having the conversation. Things are moving along and — BOOM! — you don’t know how to proceed. It’s because you don’t know the best sales questions to ask on a sales call. This may be rare, but it’s not lack of knowledge or poor communication. Sometimes, you just blank. You have no idea what to do, but you have to get this call out of the ditch. After all, you called them. Qualifying a lead is a delicate balance between your natural ability to move a conversation and a predetermined set of things to find out. 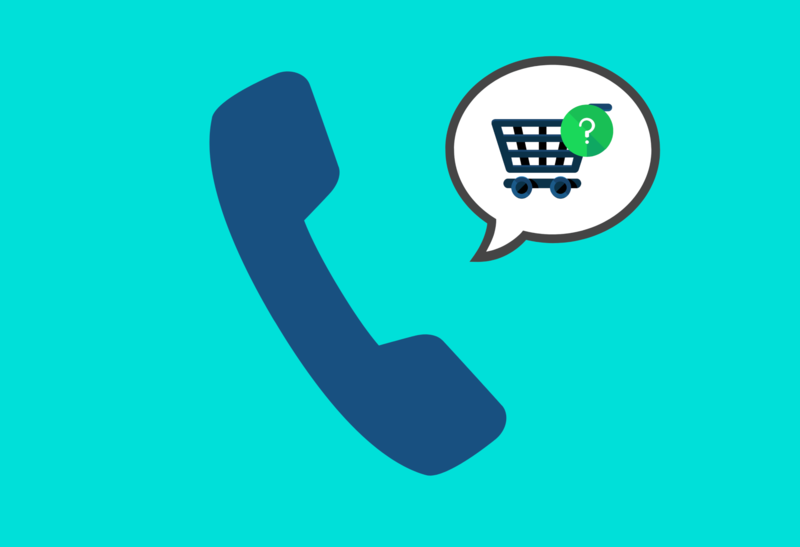 So, what are some of the very best sales questions to ask on a sales call? That’s what we hope to go over today. By the end, you should have enough questions to find prospects and move the conversation along. First, we need to talk for a second about extracting the data. Yes, you’re trying to gauge how likely they are to buying. But this isn’t accomplished by simply asking questions and listening to the answer. And getting it sometimes requires follow-ups. If you’re too scripted, you’ll just move on to the next question and possibly miss out on the things that will actually close deals. You have to be careful to listen and keep asking until you understand. Let’s do a little example question before we get to the rest. Those answers aren’t going to move the conversation along, but they could give you an opportunity to find out more. Getting answers for all of these questions under the framework of “changing suppliers” does several things. Really gets to the reasons they may switch. Reduces confidence in their current solution. Allows you to warm the lead by expressing the strong points of your product. Gives you insights into how they view the need and use of both the pain and solutions to it. Bottom Line: All of the questions you ask should be connected to the goal of qualifying a lead and each question should have a follow-up or two that help you dive deeper and get that valuable intel. All of our suggested questions will have some additional suggestions, too! Question #1: What’s it like living in/next to [insert weather, landmark, or natural marker] all the time? For instance, “I see you’re in Ohio. What’s it like living with the cold winters out there? We don’t have those here in Arizona.” Or, “You’re that close to the beaches in Destin; you have to go there all the time, right? You may be wondering why the first question doesn’t have anything to do with sales. Rapport makes or breaks a call. If you can’t build some sort of connection, you won’t get anywhere. This is another reason that you don’t want to just crank out a list of memorized questions. There are dozens of ways you can build some red (if you don’t like the geographic approach). You have to make them listen and that makes questions like those essential to any “best” list. Bonus Resource: Here’s a massive list of over 60 rapport-building questions. Question #2: What are your top [business/industry] priorities right now? Still in rapport building territory here, but you’re starting to switch things into the right place. Finding where a decision maker’s head is can be a huge tell or how likely they are to buy in the near future. If you ask this and they tell you about some focus that has nothing to do with your solution—it could be a short call. If their priority is one of your product’s features—jackpot. Potential Follow-up: Do you have a current solution for this issue? Question #3: Are you having problems with [insert a couple of pain points] like some of our other clients? If they weren’t forthcoming with anything that is related to what you’re selling, it’s time to throw out some bait. Just ask them if they are having the common pains as others in the same industry. When they answer; it’ll either be a ‘yes’ that you can dig into or a ‘no’. Either one is good for you. This is really the first meaty question. You’ve built up a bit of a connection and this one will tell you if it’s worth going forward or not. Question #4: Is your current solution not solving these as well as you would like? It’s highly likely that your lead has some sort of a solution already. That’s like hard ground that you’ll have to dig up in order to lay the foundation for the new product. This question helps with this problem. It’s also great for gauging how loyal they are to their current tool/service. If they aren’t going to budge, it’ll likely come out here. Listen closely to see if you can start to pry it loose in their mind. If not, you may want to move on. Potential Follow-up: What made you choose this provider? Question #5: What would it do for your overall revenue/workflow/pain benefit if you could handle these issues more effectively? Once you’ve seen a window for getting them to switch, it’s time to start gathering intel that will be used to close the deal. The goal here is to tailor the “perfect world” you and the closer want to paint in order to get the lead to pull the trigger. You know what they want, but some aspects may be more appealing to the prospect. It’s important to pay attention here to highlight those benefits in the future. Potential Follow-up: What would be the biggest difference for your role personally? Question #6: How does the decision making look for a solution like this? Pains, priorities, and roles are usually similar from one lead to the next. But buying processes are a different story. Fiscal year and budgets are always different, a buying team may need to be constructed, varying levels of organization (or disorganization) exist. There is no telling how long it may be before a lead, even if interested, would actually buy your gizmo. But that’s why we ask the question, right? Potential Follow-up: What are the specific steps in that process? Question #7: What concerns do you have about switching/implementing a new solution? Just because they’ve made it this far doesn’t mean they want to switch. The lead may not even like their current solution, but just don’t want to deal with the buying process they’ve just laid out—let alone implementing a totally new product. All of these are barriers that will be thrown up sooner or later. It’s better to get them talking about it now. Pay close attention here, this is one of the last lines of defense many leads have before making a decision. Potential Follow-up: Would any of those keep you from buying, despite finding a better solution? Question #8: How comfortable are you with saying no to me? We have to give credit where it’s due. John Barrows wrote a piece for Sales Hacker and included this question (among others)—and it’s genius. So many leads have no intention of buying, but will sit on the phone with you and sound interested. They’ll politely answer your questions and then, when you ask them to set a time for a future call—they say yes! You get excited and when the time for the call comes…crickets. Let them know that you want to figure out if their brand is a fit. If yes, great! If not, that’s great too. At this point in the convo, they’ve heard you enough to know. The sooner they’re gone the better if it wasn’t going to work. Potential Follow-up: Seriously, just let me know if you’re not interested—ok? Question #9: What if we could set up a strategy call to explain how to implement and use our [product/service] for the maximum benefit? If the call gets to this point, you have enough data to give to the closer (or use yourself) to get the deal. Prospects will have shown themselves by now and it’s time to set a sales qualified appointment (SQA). If they’re a suspect (not interesting in buying), they’ll probably run scared at this point. A question like this isn’t a softball, but it’s time to get a demo on the books. Potential Follow-up: Would you have [insert typical demo call length] to potentially solve the [insert pain] we talked about? Question #10: At the end of that call will you give us a firm answer? If you’re really feeling lucky, ask for a committed answer at the end of the demo. Someone would be naive to think that they weren’t going to be hard-pitched on the next call. Asking if they’ll make a commitment either way sets the tone for your closer. It’s also the last protection against those who aren’t qualified to go to close. If a suspect has made it here, it’s kind of like climbing to the top of a crazy tall water slide. Asking a question like this is the equivalent of a chicken exit. If they’re not ready to plunge—they’ll get off the ride. It’s best to have a process for getting the notes from the call to your closers (or yourself to review before the demo). Typically, things like these will fit nicely into most customer relationship management software. Reps can interact with the data for maximum impact. What are some best sales questions to ask on a sales call that you’ve heard? Any you loved (or hated) on our list? Great article, very useful! Thank you for sharing! Thanks Morgana – glad you found it useful! Nice Job! I’ll get some good use out of this. Thanks for posting.